Looking for an awesome way to mount your action camera on your bike, car, boat? Check this out! This Billet 1" Ball mount is compatible with many mounting systems for phones/cameras/tablets/etc... even firearm holster mounts!!! ... and features a 6mm or 1/4" hole for mounting to virtually anything that uses 6mm hardware, or 1/4-20 or 1/4-28 threads, like camera mounts! Use one ball with a 1/4-20 bolt on the underside of your camera, and mount another ball anywhere else you can fit a 6mm bolt or a 1/4-20 or 1/4-28 thread! Made out of 6061 T6 Billet Aluminum, and made right here in the USA! 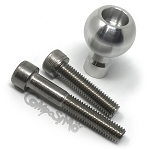 Comes with your choice of (2) 6mm Stainless Steel Bolts, or (2) 1/4-20 Stainless Steel Bolts that should work in a variety of mounting situations. 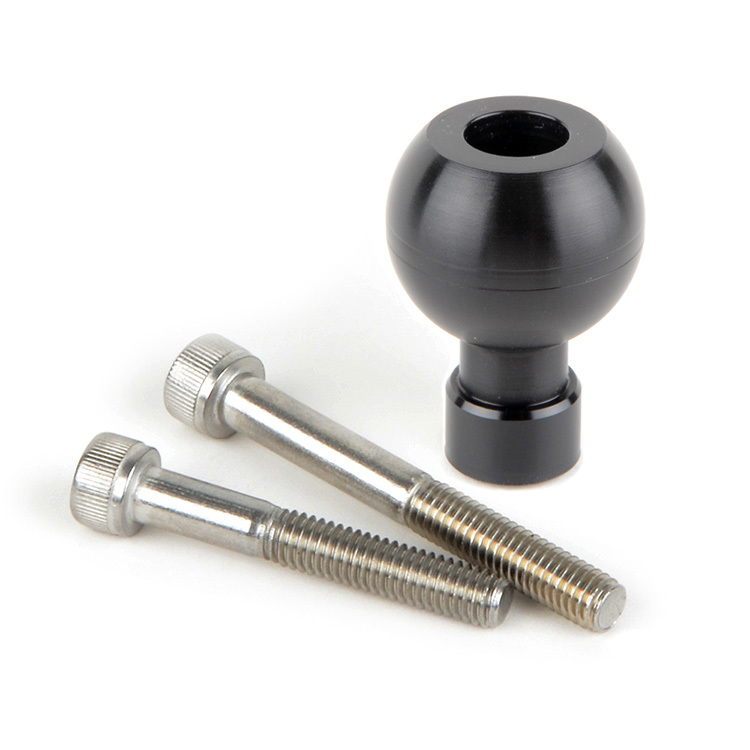 Depending on how you mount the BALL, a longer bolt or alternate thread pitch may be required for safe mounting, and will require you to purchase your own hardware from a local store. Be sure that you have at least 1.5-times the bolt diameter of thread engagement! So if you are using a 1/4" bolt for mounting for instance, make sure that it has at least 3/8" of thread in the mounting hole!